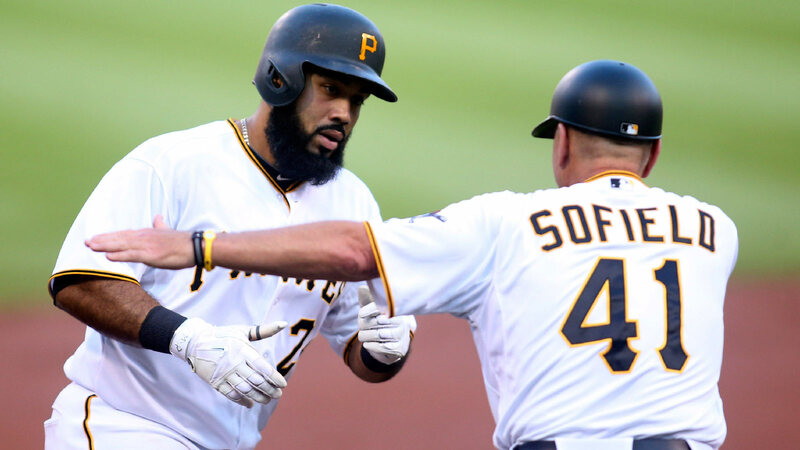 As the trade deadline inches closer, one name reportedly in greater circulation is the Pittsburgh Pirates’ Pedro Alvarez. One other guy whose name is everywhere: Pedro Alvarez. Said one GM: "Pirates want to get rid of him. They're offering him to everybody." One general manager told Yahoo! Sports’ Jeff Passan, that the Pirates "want to get rid of" him. The first baseman is batting just .231 with 12 home runs and 43 RBI. He has struck out 76 times, the second-highest rate on the team. Alvarez, who can be a defensive liability at first base or third base, is essentially useless against left-handed pitchers, having been penciled into the lineup earlier this week against a lefty starter by manager Clint Hurdle for just the first time in 11 months, according to the Pittsburgh Post-Gazette. At this stage, Alvarez, 28, isn’t going to fetch much in a trade, so if the Pirates are ready to cast him off, they’ll likely need a replacement. With limited choices on the market, Adam Lind could be a target.